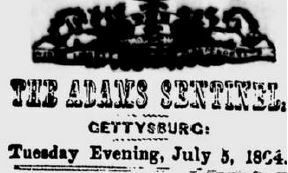 Not long ago, I received the following from Civil War blogging friend, John Rudy, and am just now getting around to posting it. 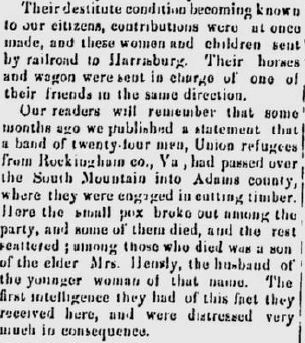 It’s an article documenting the fleeing of the Hensley and Lamb families from the Shenandoah Valley. It’s unclear which “Mr. Mickley” “hospitably entertained” the wives and children, as there were a dozen households headed by Mickley families in Franklin Township in Adams County (according to the 1860 census). 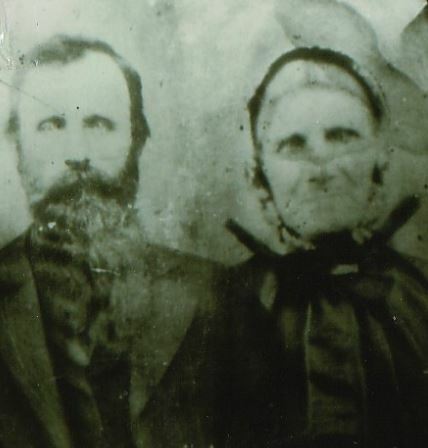 Matthew and Annie Lamb, courtesy of friend Craig Lam. 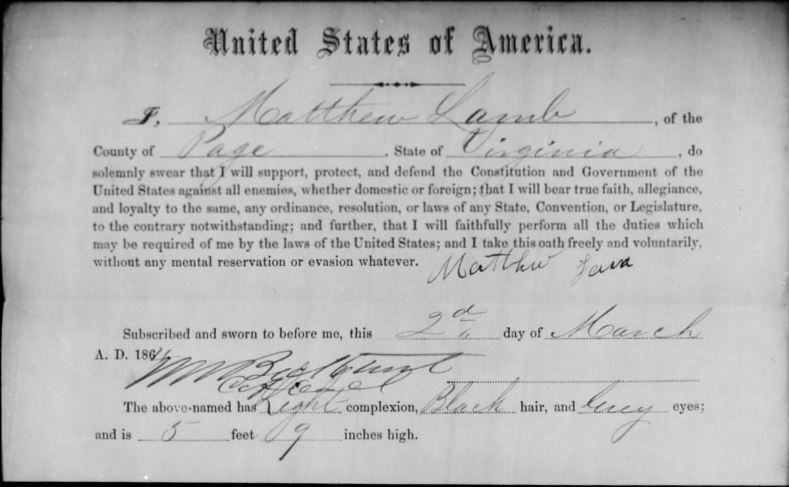 I visited Fold3 and found the Oath of Allegiance papers for both Matthew Lamb and Wesley Hensley, who appear to have fled Virginia in March, 1864. Beckwith is third from the right. 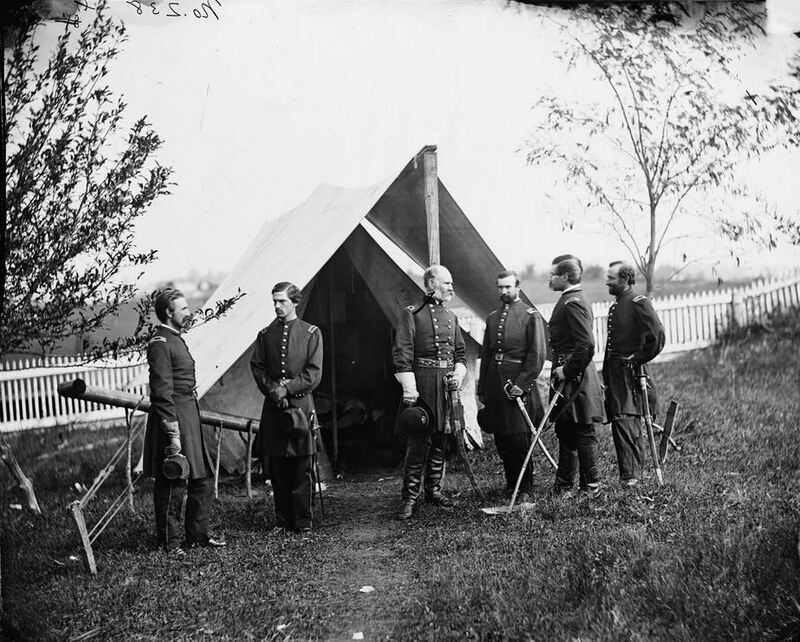 Gen. Patrick is next to Beckwith, in the center of the photograph. 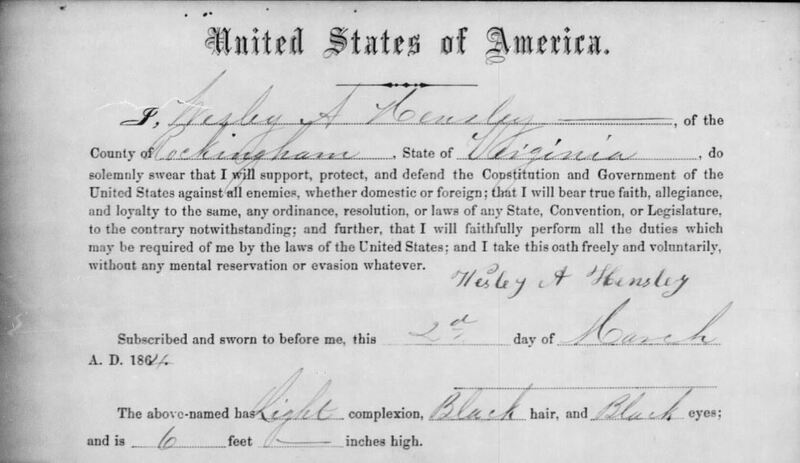 This entry was posted on August 10, 2013 at 8:25 pm and is filed under Confederate conscription, Southern Unionist refugees, Virginia Unionists with tags Alexander Hensley, Amanda C. Hensley, Ann Lamb, Eliza E. Hensley, Elizabeth Hensley, Emanuel Lamb, Frances E. Hensley, Gettysburg Pennsylvania, Harriet A.C.S. Lamb, Hiram Hensley, Jackson Hensley, James D.A. 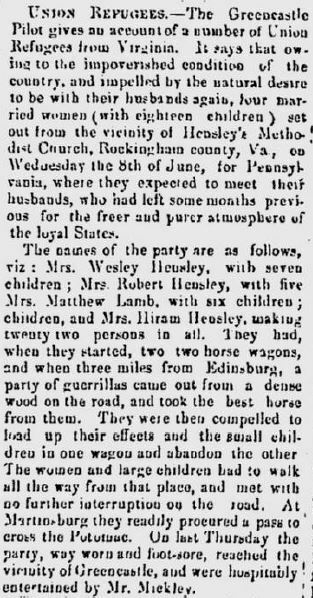 Hensley, July 5 1864, Louisa Hensley, Margaret Hensley, Mathew H. Hensley, Matthew Lamb, Page County, Richard E. Hensley, Robert Hensley, Rockingham County, Sewell Hensley, Shenandoah Valley, The Adams Sentinel, Thomas Hensley, Verneda C. Hensley, Wertley Hensley, Wesley A. Lamb, Wesley Hensley, William Z. Lamb. You can follow any responses to this entry through the RSS 2.0 feed. You can leave a response, or trackback from your own site.